Fancy steak dinners, electronic devices and cold hard cash are just some of the ways ISOs and funders these days are motivating sales reps to bring in business. Although it’s largely a field for self-starters, many companies find that even small tokens of appreciation do wonders to increase rep productivity. “Waving a carrot in front of your reps can make a massive difference,” says Zachary Ramirez, branch manager of the Costa Mesa, California branch of World Business Lenders, an ISO and a lender. When it comes to motivating sales reps, every company does things slightly differently. Some have more established incentive programs, while others are more ad hoc, depending on how the day, week or month is shaping up. The common goal of all the programs, however, is to give a little something to get something greater in return. Ramirez remembers one sales rep who won a trip to Las Vegas and then continued to be the top rep for three months running. “Those types of rewards can keep a sales team motivated, hungry and excited,” he says. From time to time, Ramirez offers rewards such as a small cash bonus if a rep meets certain metrics like getting three submissions in a day or multiple fundings in a week. In addition, whenever his reps, who are all hourly employees, hit key performance indicators, Ramirez rewards them with a poker chip. After they accumulate enough, they can trade in their chips for various prizes. Twenty-five poker chips might be worth a flat-screen TV and 50 chips could be an expense-paid trip to Las Vegas, for example. When it comes to motivation, it’s important to incentivize the correct behavior, Ramirez says, noting that in his earlier years running an ISO, he used to reward reps based on the number of calls they made in a day rather than applications, approvals or fundings. The latter represent a much more serious commitment and are worth motivating for as opposed to simply making a phone call, where the outcome is uncertain. “Even if they make as many as 500 phone calls in a day, it’s irrelevant if they are not moving the transactions forward by getting applications and bank statements,” he says. It’s also very important to have clear-cut expectations; reps need to know the consequences of not performing, Ramirez says. Most top salespeople won’t need the stick. But it’s still necessary for them to know the policies, he says. One major way United Capital Source incentivizes its 15-person sales force is by self-originating leads. It provides its reps—who are all W2 employees—with merchants that are actively expecting phone calls as opposed to handing them a laundry list of names to pitch which may or may not pan out. It costs more for United Capital to do this, but it works well for the company and for its sales force, says Jared Weitz, chief executive of the New York-based alternative-finance brokerage. “It enables us to put our guys in a position where they are growing with the company and the company is growing as well,” he says. In addition, United Capital has an aggressive pay structure that allows salespeople to grow with the company. For instance, the pay plans are all based on how the company is doing overall, as opposed to an individual salesperson’s performance. In this way, it encourages the sales force to work together, as opposed to each person being out for himself. Weitz says its sales team understands that if the company hits x, the sales team gets y. United Capital also offers competitive healthcare and 401(k) plans and there’s no vesting period for employees to receive their 401(k) employer match. Additionally, the company does small things like Friday lunches on the company’s dime as a thank you for time spent. It’s another way to keep the sales team happy, Weitz says. Fundzio, an alternative funder in Fort Lauderdale, Florida, also works very hard to make sure it keeps up its pipeline of fresh leads so that reps don’t have to do that on their own. Indeed, Fundzio provides them with between seven and ten fresh and promising revenue-earning opportunities each day. This helps tie the reps to Fundzio because they have a continuous stream of business and don’t have to find it on their own. “It guarantees them at bats every day,” says Edward Siegel, founder and chief executive of Fundzio. It also helps tie the reps to Fundzio because they have constant business. “The key thing is having new leads,” he says. Additionally, anyone who funds a deal gets to spin a wheel in the office at the end of the business day and earn cash or special prizes like concert tickets or a fancy dinner or a $200 gift certificate. Reps really appreciate getting those prizes, which is evident when they come back to work after enjoying their steak dinner at a Fort Lauderdale waterfront restaurant. “I think it creates a fun and relaxed atmosphere feeling. A little bit goes a long way,” Siegel says. One way Fundzio motivates reps from the get-go is to bring them on initially as independent contractors. If they prove themselves over a 90-day period, they have the opportunity to become an employee. At any given time, the company has about 20 to 25 sales reps, representing a combination of contractors and W2 employees. Another way Fundzio helps motivate reps is by allowing them to earn residuals from repeat business for the life of the account as long as they are still employed by the funder. Many funders have renewal departments and reps don’t directly benefit when a customer does repeat business, but that’s not the case at Fundzio, Siegel says. 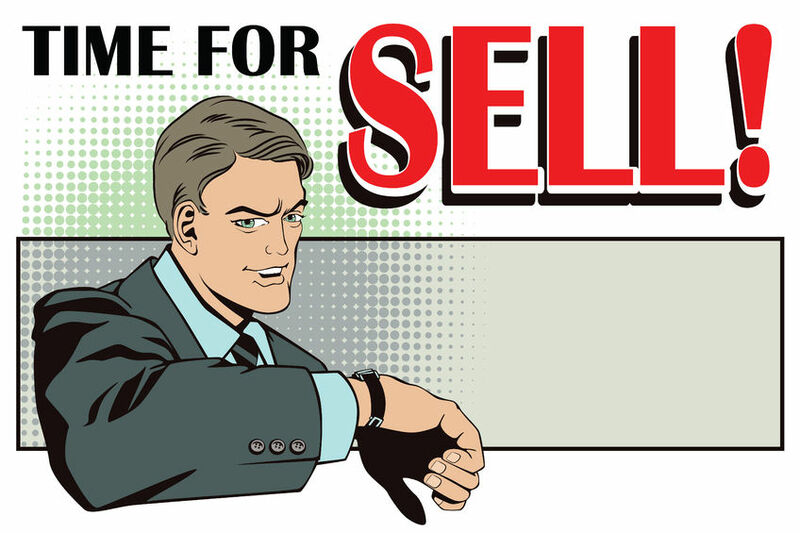 Certainly, to succeed in the alternative finance industry, sales reps have to be self-starters. It’s a key requirement to do the job well, in part because so many shops are purely commission-based. Nonetheless, many companies find it helps to grease the wheel a bit—regardless of whether reps are independent or W2 employees. Fast and Easy Funds, for instance, holds weekly contests to encourage its internal sales force of 15 independent contractors. One week the contest may be for the rep with the most dials, another week it’s for the most submissions and another week for the highest number of deals funded. Each contest pays in the vicinity of $150 to $250 cash. “Every week I change it up. They don’t know what the contest is going to be until the last day of the week,” says David Avidon, president of Fast and Easy Funds, a broker and alternative funder in Boca Raton, Florida. iAdvanceNow, a brokerage firm in Uniondale, New York, runs daily, weekly and monthly bonuses for its 38-person sales force. For instance, if a rep submits two completed deals for approval in a day he or she might get $100 cash; for three completed deals, the cash bonus might be $250, says Eddie Hamid, president of iAdvanceNow. 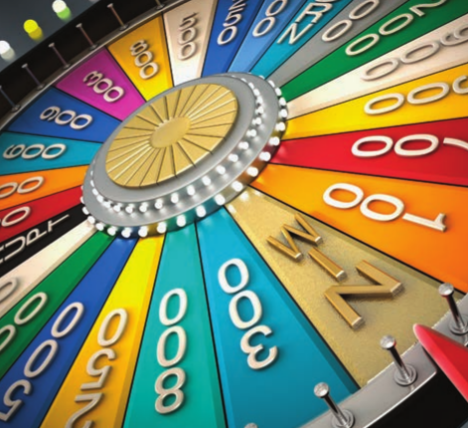 On a weekly basis, for submitting six complete files, reps get one spin on a big Wheel of Fortune-like apparatus in the office. Everybody is a winner; the prize depends on where the arrow lands. It may be a cash prize of $20, $50, $100 or a physical prize like a 40 inch-Samsung TV, an Apple Watch or iPad, Hamid explains. On a monthly basis, meanwhile, each team of five to seven sales reps has a goal. If as a team they reach their goal, they get $1,500. Additionally, the top producer of the month—provided he or she has achieved a minimum of three merchants being funded—receives the top producer bonus of $1,500. The runner-up receives a $1,000 bonus and the third place sales rep receives $500. The top team in the office also gets a steak dinner at a local establishment, Hamid says. The system works because it gives them a drive to obtain a goal while also encouraging friendly competition, says Hamid, noting that he once overheard reps talking about how much they value being named the top producer. “With sales people, they are more concerned with the recognition than the prize or the money they are receiving,” he says. iAdvance has been in business for about two years. The current motivational system has been in place for about a year-and-a-half and it seems to work very well to motivate the sales force, Hamid says. In addition, if they are having a down sales month, Hamid ups the ante for the daily goals, adding not only cash, but also prizes. These techniques all help to light a fire under the sales force, he says. “All it takes is one slow day to kill the energy of a sales rep,” he says. Lindenbaum finds that motivation checkpoints seem to work well. For instance, at the end of the month, the firm commonly gives a $200 bonus to the sales rep with the most submissions. For actual deals funded, Excel Capital is also working to implement a more concrete revenue-based bonus system as well, Lindenbaum says. Excel Capital works with independent ISOs in addition to its in-house staff to bring in business. To encourage independent ISOs to refer business, the funding company offers higher payouts to those who consistently bring in high quality deals than to ISOs who bring in deals sporadically. Chad Otar, co-founder and managing partner at Excel Capital, says a key piece of motivating sales reps is to make sure the sales manager feels motivated as well. Accordingly, the firm also makes sure to motivate Lindenbaum with larger payments for doing an outstanding job of motivating the sales force to bring in deals. “We need to motivate the sales manager so the sales manager motivates the people on the phone. It’s a chain effect. You motivate one and it motivates the others,” he says. Excel Capital also believes in the power of team rewards. Recently, for instance, company executives treated all staffers to a steak dinner at Delmonico’s in New York City. “We’ve done it many times so our team knows they are appreciated and that our goals were met because everyone worked together,” Otar says. 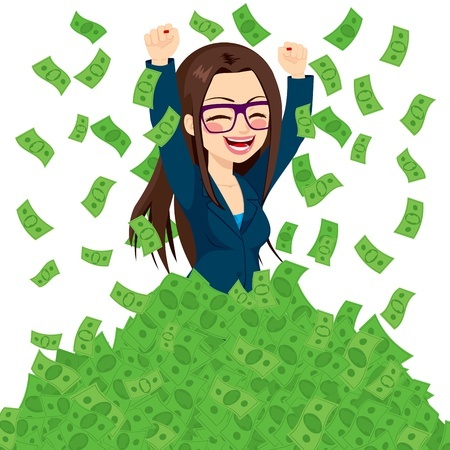 Paying reps a base salary in addition to commissions is another strategy some ISOs use to motivate sales reps. A salary is especially meaningful to reps just starting out, notes Ramirez of World Business Lenders. He says he has worked with a lot of ISOs and many of them don’t want to pay reps a base salary because they feel it’s a mistake to give them a cushion. Because by doing so, reps get comfortable and when they get comfortable, they don’t push deals—or so the thinking goes. But Ramirez believes this is counterproductive to the rep’s career and the ISO’s sales. He believes reps should be given a big enough base while they are learning the industry—say for 90 days. Giving them $2,500 a month or so, motivates them and it doesn’t choke their possibility for survival. “You have to give every salesperson the opportunity to succeed. Give them some coaching, give them some guidance, give them a little time. But if there’s no possibility of that rep succeeding or being an asset to your team, it’s important to remove them as efficiently as possible,” he says. It may seem counter-intuitive, but removing dead weight is also motivating for reps who are really working hard to sell, Ramirez says. To keep that person is demoralizing for the other reps—who may feel they don’t have to work as hard either or who feel they have job security even without doing their best. “It fosters complacency,” he says.